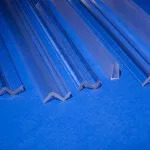 Plastic is extruded by melting polymeric compounds, forced through a die opening, at the front end of the extruder, by way of a melt and transfer screw conveyance system. 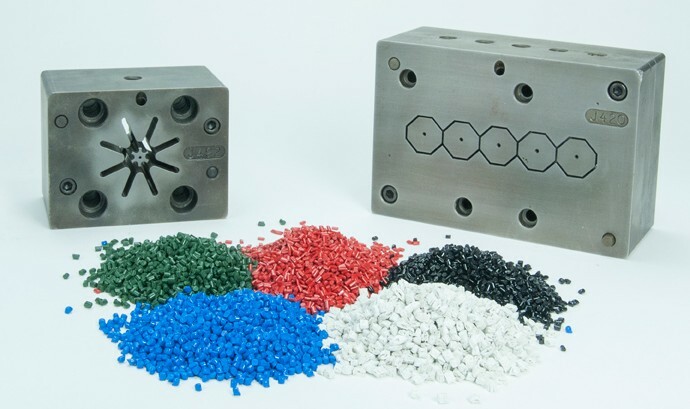 The process begins by adding a specific raw material compound, as dictated by the job specifications, into a hopper located above the screw opening at the rear of the extruder. 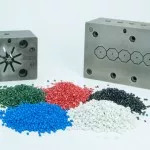 The screw, and barrel that contains the screw, are heated, and melt the polymer in a gradual staging process, as the screw moves the material forward toward the front of the extruder.